I facilitate group therapy for beautiful people. We have people of color, various sexual orientations and genders, abled and disabled, employed and unemployed, affluent and poor, mentally ill, substance abusing, and a host of others who don’t fit into a neatly defined category. The thing they all have in common is they have come to me to learn. Some hope to learn the bare minimum they needs to learn to complete the program. Others are looking for a significant life change as a result of their engagement in this learning space. I use to hold the belief that I had something they needed and my job was to share it with them and their role was to sit passively and consume this information. It was also their job to practice these principles in their affairs when they left, often without direct feedback from others who knew what they were trying to do. I took the same approach for years in youth ministry. These teens were empty vessels that needed me to pour into their lives and fill them with the knowledge of what they needed to follow Jesus (defined by our church community and tradition). Fortunately, I’m curious and like to ask for feedback from those who are sitting in the learning space. I also love research. I love to read it, break it down, and try to apply it in real time. Here’s a summary of what I’ve learned over the years about how people learn best and why I think we need to reimagined how we pass on our faith to the current and future generations. Students must be at the center of what happens in the learning spaces – If teenagers are going to manage their emotions and become self-motivated learners they will have to be at the center of the learning experience. Often, in our youth ministry settings, it is the your worker that is at the center of the gathering. We are the ones on the stage, behind the pulpit, in the center of the circle, hoarding the words allowed to be spoken, setting the agenda and goals for the learning. Students rarely have anything to say about what they are being taught, how they are being taught, or the reasons they are being taught. This needs to change is we hope to create self-directed learners instead of mindless consumers. Students learn better in groups and rarely happens alone – We are social beings and we learn by interacting with each other. We learn when someone takes an idea you shared and extrapolate or pushes back. This pushing and pulling of ideas, in a collaborative setting, is what sharpens our vision and understanding of the subject matter being discussed. Our most powerful memories are connected to strong emotions – Faith communities have discounted the power of emotions in spiritual formation, citing their instability as a reason they can’t be counted on. As a result, we have stripped down our faith experiences to a simple set of academic memes we cognitively ascend to. The heart and soul is largely missing in the church today. The power of emotions to motivate one to learn cannot be overlooked. Consider this, if a student has high levels of stress at home or school, they won’t learn well. Similarly, keeping a student motivated (hungry) to learn about God, mankind, and their shared story, is the starting point of faith formation. If they understand why it matters, their journey becomes more important to them. 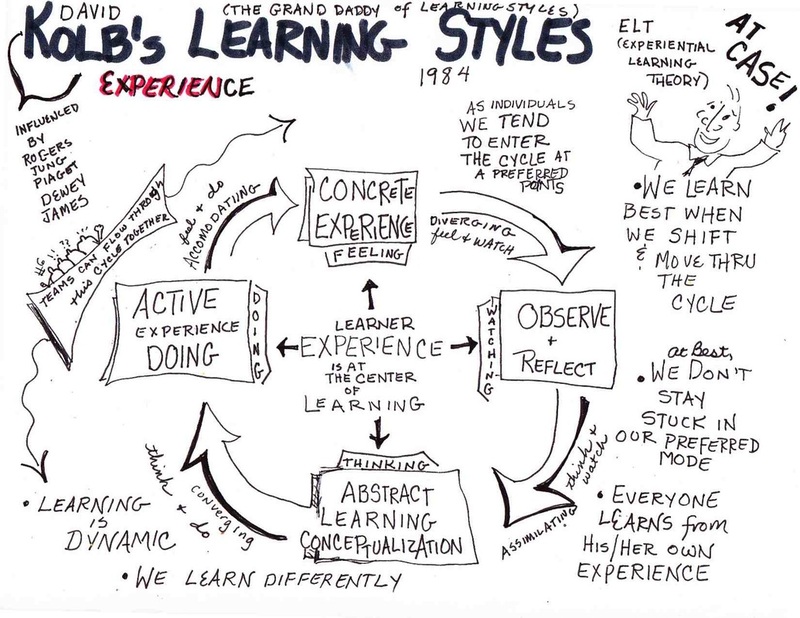 Individual learning styles are a thing – Multiple learning styles have been largely ignored among the evangelical traditions of the Christian faith. We are still perpetuating the idea that people learn best and are spiritually formed best when one person stands before them and speaks words at them about a particular subject. This style of communication only engages one, or at best two, of the senses, decreasing the likelihood of retention and transformation. Post-modern learners almost need IEP (Individualized Educational Plans). Not because there is anything wrong with them as learners but because it is the better way forward. We live in a visual, digital, social world, and they are natives in this land. We cannot afford to try and make the information fit our outdated styles of teaching but must, instead, adapt our style of communication to the mediums that are culturally dominant today. We must strive for practices and processes that help leaders engage each student where they are. And then there are multiple intelligences…but that’s a post for another time. Push but don’t break – We don’t want to push beyond a learner’s capacity, where they might just give up because the rules are too hard and instead engage in “shallow compliance” to the Ways of Jesus. We also don’t want to deny accountability to excellence or striving for righteousness. We are called to take up our cross daily. This requires concentrated effort and focus and self-control but, it shouldn’t exasperate the student to the point of giving up. There’s a sweet spot where they can experience a measure of success and still experience the challenge of discovery. We must seek discernment on our facilitation of either. Learning needs to be connected across intersections – Formation needs to reach out into the real world. Life change cannot be meaningful or lasting if the students don’t know why the knowledge is useful to them, or how it can be applied in life. Understanding the connections between subjects and ideas is essential for the ability to transfer skills and adapt. Often, our faith is taught in a disjointed manner. How does our quest for social justice intersect with our real lives where we come face to face with racism? How does Jesus’ call to be peacemakers intersect with the real life violence on the streets of our cities? How do we, as people formed in the image of God, be the answer to Jesus’ prayer to see the will of His Father lived out on earth, as it is in heaven? Most of these ideas are like water to a fish to good teachers. They seem like no-brainers. To others though, they can seem impossible to achieve within an archaic faith tradition that is bureaucratic and slow to change. What might be some practical steps you can take towards a more innovative formation culture? Invite dialogue regarding the subject matter. Our church practices large group Lectio Divina at the beginning of every sermon. Often, the pastor will read a significant portion of scripture and illicit immediate feedback, saying “What did you notice?” or “What connected with you?” or “What seemed odd or weird in this story?”. This is driven by the belief the the Holy Spirit speaks in and through the entire community and prevents a single voice saying there is only one way to see or understand a passage. Creating space for silence. It can be very hard to learn when there is so much noise in the learning space. Whether it be audible or visual noise, it can make it difficult to focus, be still, and allow the material being taught/discussed to penetrate at a deeper level. Retelling the story in your own words. This is a common practice among teachers in public schools. When information can be consumed, processed, and regurgitated in our own words there is a level of brain connection that occurs that goes beyond simply memorizing content. Try having your students rewrite Jesus’ parable with content from their lives today. This will also help take an abstract idea and make it more concrete. Multi-sensory is the pathway to integrated learning. We learn best when we see, hear, touch, smell, and taste that which we’re working with. You might not be able to accommodate all five senses into every gathering but being mindful of them and intentional will go a long way to creating memorable learning experiences for your students. Service-Learning Projects. Think creatively beyond a short-term mission project or a weekend service project. Have the students identify an issue from scripture (i.e., poverty) and have them research that topic in their own community. Let them discover the scope of the issue for themselves and then walk them through the process of addressing the problem. Imagine this…your students learn about the story of the Good Samaritan. As a result, they were moved and impacted by a story of someone in need of critical medical care. They then research their community and discover that many of the elderly in their town don’t have access to a myriad of medical/health resources. One of your students tells a story about how their grandmother can’t afford her prescription medication and has a hard time driving to the pharmacy. Now, imagine these same students decide to go talk to the pharmacy to see if they would consider starting a medication delivery for the elderly. Imagine they also create an educational program for the community to dispose of unused medications and work with the police department to create a medication drop off center to properly dispose of these medications because this will reduce the potential of teens accessing dangerous drugs of abuse from their grandparents medicine cabinets. If transformation is the goal of formation we must be intentional about how we cultivate learning and formation experiences. This requires more effort from the one facilitating the learning in preparing. This isn’t just a lazy form of teaching. This will require more focus and thoughtfulness up front but the end result, I believe, will be deeper transformation of our students as they journey with Jesus throughout their lives. Here’s a link to a free resource on spiritual formation you can use with your students, volunteers, or for yourself.